The UCLA Film & Television Archive presents the "18th Annual Celebration of Iranian Cinema" at the Billy Wilder Theater in Westwood through Sunday, April 20. A new free event with several directors in person has been added on April 12. Plus, additional info for the April 18 "short" program is now available. 2008 marks the Archive's 18th annual Celebration of Iranian Cinema, and our program this year is as eclectic and diverse as ever. This year's offerings include seven new features from Iran and the diaspora, as well as compelling new documentary and short works on film and video. Most of the works in this series are by emerging directors and the program provides audiences with the opportunity to discover new filmmaking talent from Iran. We also welcome several directors who will discuss their work in person. *All films are in Persian with English subtitles. *IN PERSON: director Amir Shahab Razavian on April 11 + several directors in person on April 12. DIR: Amir Shahab Razavian. SCR: A.S. Razavian, Armin Hoffman, Mohammad Farokhmanesh, Frank Geiger. 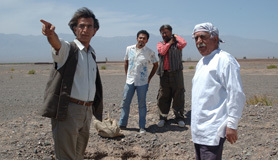 CAST: Shahbaz Noshir, Ezatollah Entezami. 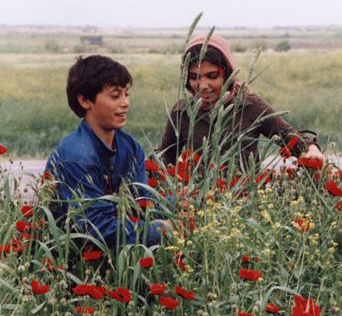 Join eight visiting directors as they discuss filmmaking in the Islamic Republic of Iran. The discussion will be moderated by UC Irvine professor Touraj Daryaee. Participants include directors: Kaveh Bahrami Moghaddam, Mehdi Boostani, Rahbar Ghanbari, Elham Hossein Zadeh (Friend's Place, Enemy's Place), Delaram Karkheirankhoozani, Soran Mardookhi (Tehran 318), Amir Shahab Razavian (Colors of Memory) and Mansour Ali Zabetian. Running time: approx. 90 min. 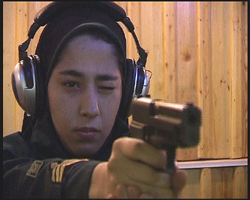 Join us for an eclectic program of short narrative and non-fiction works on film and video, which document everything from female police recruits to the perils of public transportation in Tehran. Films will include: Horn (2006, Roohollah Masroor); The Women's Police Station (2007, Azar Mehrabi); Zarin (2006, Shirin Neshat); Tehran 318 (2007, Soran Mardookhi) and Friend's Place, Enemy's Place (2007, Elham Zadeh). Various formats. Total running time: approx. 80 min. DIR/SCR: Mohammad-Ebrahim Mo'ayyeri. CAST: Mosa Khademian, Anahita Ghafarian. TICKETS: Advance tickets are available for $10 at www.cinema.ucla.edu. Admission to the April 12 panel discussion is free. Tickets are also available at the Billy Wilder Theater box office starting one hour before showtime: $9, general admission; $8, Cineclub members, students, seniors and UCLA Alumni Association members with ID; $7, Cineclub members who are students or seniors. PARKING: After 6 p.m., $3 in the lot under the Billy Wilder Theater. Enter from Westwood Blvd., just north of Wilshire.